On January 20, 2017 at 7am MST (9am EST), 52 women from both sides of the United States-Mexico border joined one another at the Paso del Norte International Bridge for a performance action to respond to the dangerous rhetoric against immigrants and women promoted by the 45th president of the United States. 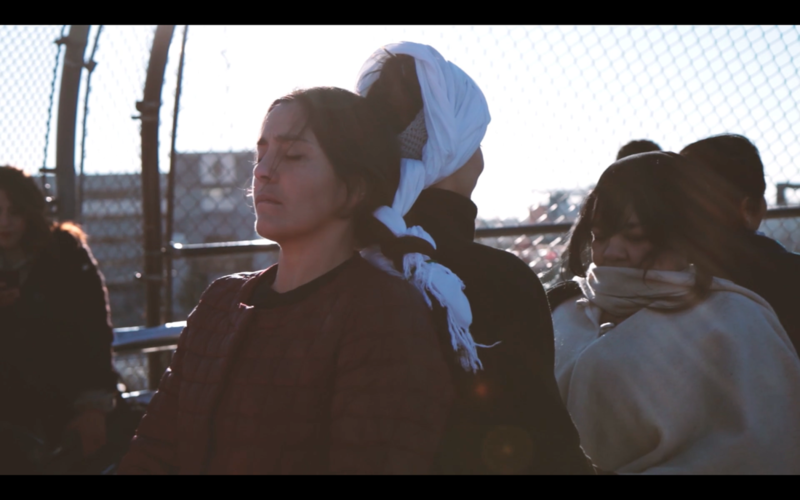 Initiated by Boundless Across Borders, a community coalition that aims to create public performance actions to resist division, the project organized women from both sides of the border to join one another to form a human chain that traversed the international boundary by braiding their hair together as a sign of peaceful resistance, strength and solidarity. Xochitl R. Nicholson and Sandra Paola López stand back to back at the top of the Paso del Norte international bridge after finishing the braiding of the human chain.